Digital Revolutions is proud to present the latest addition to the collection of free, widescreen wallpapers. 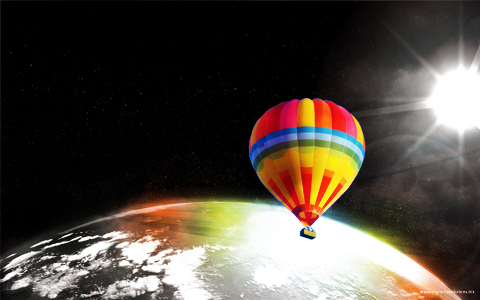 “Soar Above” depicts a hot air balloon boldly going where no balloon before it has ever gone. Take your desktop above the atmosphere, and download today. Interesting concept, I like this design a lot. Thanks for the wallpaper.